The Greeks retreated from the central stage of history after the Roman conquest, which was completed in the first century B.C. and became Ottoman subjects when the Turks conquered the Eastern Roman (Byzantine) Empire during the 15th century AD. The Greeks revolted against Ottoman rule in 1821. For four years they anaged resist the Turkish land and naval forces that tried to subdue them. Political disputes led to a civil war that destroyed any semblance of order that existed and added to the general misery. The sultan ordered his Egyptian vassals to subdue the Greeks. In 1825 after subjugating Crete an Egyptian army landed in Peloponnese despite the efforts of the rebel navy and started devastating the country. Next year, a Turkish army after subjugating Central Greece, laid siege on Athens. In their desperation the Greeks who had raised a loan in London aimed to put themselves under British protection. Greek deputies in London aimed unsuccessfully to find British commanders for the Greek army and navy but it was almost impossible to overcome the British neutrality and shortage of their funds. The London Philhellenic Committee suggested then one of the most famous naval commanders of the era, Thomas Cochrane to take command of the Greek Navy. In 1818 he took service with the Chilean Navy. His audacity and bravery helped him to succeed militarily there, but it must be taken into account that he found the nucleus of a war navy3 and he had at his disposal a good number of British mercenaries4, most of them veterans of the Napoleonic Wars. In 1822, falling once again afoul with his employers over money and rewards, Cochrane took service with the Brazilian Navy. He successfully reorganized it and with his usual swashbuckling tactics led it to victory. Again he found there already a nucleus of a navy to work with and a more or less established government that could supply and pay it even in a haphazard way. Lord Cochrane was negotiating with the Greek Government from 1825. It is probable that the Greek government of the time took the (often exaggerated) stories circulating widely about Lord Cochrane’s person and blew them out of proportion not only raise the morale of the embattled Greeks but perhaps to turn the peoples eyes away from their own incompetence and mismanagement of the Nation affairs in almost everything. In 1825 a Greek attempt to burn the Egyptian transports at Alexandria and force the Egyptians out of Greece had demonstrated all the shortcomings of the volunteer merchantmen and their crews that comprised the Greek Navy of the time6. At the meantime the Greek deputies in London were wasting the money of the English loans. Sensible advice by Hastings, for them to buy second hand warships immediately available and cheap in price was rejected7. For political reasons warships were ordered in USA but there was no proper fiscal and technical control. Costs soared and a fraction of what was promised was actually delivered8. Lord Cochrane was an advocate of steamships and approved of Greeks building a steamship in England but his stubbornness on having them made on his designs and his insistence on who got he contracts for their construction caused troubles and delays. While the Greek deputies in England wasted the loans cash, Cochrane’s favoritism and poor choice of partners added to the delays of the ships construction at a time that they were most needed9. The fact that the shipbuilders had business interests with the ruler of Egypt (Greece mortal enemy at the time) left a stain to Cochrane’s reputation10. Cochrane’s fee was another issue. The admiral based on his negative experience in South America had demanded payment in advance for his services11. His price was considered high and more so his expenses, which he also charged the Greek government12. Except his generous food allowance he bought a luxurious yacht for his voyage and stay in Greece13. Lord Cochrane’s position in Britain was also precarious. Greek deputies in London along with unscrupulous financiers were trumpeting up that he was to be the new High Admiral of Greece. All this fuss was endangering Britain’s neutrality in the Greco-Turkish conflict and the authorities might likely prosecute Lord Cochrane under the Foreign Services Act for serving abroad in foreign navies in order to ease Ottoman suspicions. Certainly these were not ideal conditions for setting up preparations for the benefit of another country’s navy. His departure for France because of this situation meant he was unable to oversee shipbuilding progress and this was a serious negative factor for his future undertakings and for the situation in Greece too14. Year 1826 was wasted while the Greeks suffered military set backs mostly because they were more interested in civil strife rather than fighting the Turks. Lord Cochrane was lucky that the French Philhellenic Committees procured the necessary funds to purchase a warship for him, so that he would not come to Greece empty-handed. In early 1827 he came to Greece with the war brig, named “Savior” and two yachts. He was very late and not with the promised “mighty fleet” but at last he was there. It is claimed that his name and reputation cause enough worry to the Turks15 and the common folk welcomed him warmly. The ships under construction except “Perseverance” were either late in coming to Greece or never finished at all16. The steamships that finaly made it to Greece were not seaworthy17. His presence and energy though were of use for with the help of other British Philhellenes managed to make the Greek political fractions to stop fighting each other at least temporarily18. This added to the “savior image” that the common people were expecting of him but perhaps it was the only undisputed positive accomplishment of his in Greece even if a short lived one. At that time Acropolis of Athens was under siege by the Turks. This event made headlines to the European newspapers and was fueled by the philhellenic activity abroad19. Partly form military and partly from political necessity the Greeks wanted to relive the besieged. A prudent plan that had been successfully started in 1826 by Greek chieftain Karaiskakis in order to severe Turkish supply lines was not followed. Instead a direct attack on the besieger was preferred. Cochrane was a staunch supporter of this plan20. The Greek chieftains conceded reluctantly. The fact that the admiral, who had also the financial control, was meddling in to the affairs of his compatriot Church who was Generalissimo of Greece did not help the matter very much either21. Things looked even grimmer after Karaiskakis was shot during a skirmish in the eve of the attack. Sitsa Karaiskaki, a descendant of the Greek chieftain, in her book “O yios tis kalogrias” (translated: The son of the nun, published in 1939) accused Church and Cochrane for being English agents hell bent destroying the army of Central Greece because England, according to her, wanted only a free Peloponnese and a few islands and not a larger Greek state. But Sitsa Karaiskaki was a consultant for Greek affairs in the German ministry of propaganda under Goebels and her motives could be called into question. It is most probable that Karaiskakis who really disliked Church (his appointed superior) felt that Cochrane could really help Greece22. General Makrygiannis, a participant of the events is also very negative against the admiral Cochrane in his memoirs. A more objective view is that the there was a huge misunderstanding in the way operations were conducted between the Greek chieftains who commanded irregular troops and had experience of guerilla tactics and the foreign officers (veterans of the Napoleonic Wars) who had commanded regular troops in the open field and expected Greek soldiers to conduct themselves in a similar manner23. But in the eyes of the Greeks at that time, the “enlightened Europeans” have failed and the only successes had come from the traditional irregular warfare24. The Acropolis failure put the first spots on Cochrane’s “saviour image”. The fact that Frank Abney Hastings, the fleet commander’s subordinate, performed very well against Turkish supply lines25 and was the only successful European officer, contrasted with Cochrane’s failure in Athens and did not help his commander’s image. The calamities that befell the Greek forces in Athens cause another round of political strife26. Cochrane had wasted time, resources and funds in the Acropolis affair27 and when the Turkish fleet made a sortie to supply various forts besieged by the Greeks he failed to intercept the transports28. The admiral took a trip to the islands that contributed to the naval forces and tried to raise funds from the Primates. He was partly successful and he sent a fleet under Sachtouris against the Ottoman fleet and himself sailed to West Greece to relieve the besieged castle of Chlemoutsi. The ever-audacious Cochrane had heard a rumor that the Ibrahim Pasa, the Egyptian commander, was on a boat in the area and was planning to capture him He intended to ask the liberation of Greece instead of ransom. What a better way to absolve for the loss of Athens and live up to his myth! But he was unlucky. Instead of Ibrahim he captured the family of the Turkish general who had taken Athens and exchanged it with many Greek prisoners29. Cochrane was ever daring and full of self-confidence so he tried to repeat the Greeks raid in Alexandria and burn the Egyptian fleet with fire-ships. He disregarded the fact that the Egyptians might now be more cautious and he put his hopes on a favorable wind as he said in his proclamation to his men!30 It was a suicidal mission that failed because of unfavorable winds and the staunch resistance of the enemy. At the same time his subordinate Hastings kept the string of successes of the Greek fleet against the Turks31. Cochrane too commanding a squadron had some successes too but he was giving the impression that he was looking more for prizes than naval victories32. In 1828 Cochrane disappointed with his unruly Greek crews left for England to raise more funds and recruit professional foreign servicemen to man the Greek ships that they have been finally built. Kapodistrias who had been elected by the Greeks as their governor tried to hinder his return with a string of tactless and not very diplomatic letters33. A lot of bitterness was developed through financial haggling over Cochrane’s fee and the way he was spending money34. He finally returned to Greece to bring back a steam ship and other completed vessels. Kapodistrias informed him that his services were no longer required. Cochrane replyed that the money owed to him should be used for the benefit of the disabled Greek mariners. He left the exact opposite way than he had arrived without official farewell ceremony and cheering crowds on a Russian ship35. His myth had totally faded 36and the Greek adventure was over. Lord Cochrane came to Greece with the best of intentions but he was no idealist. He took the prudent course to secure his payment but he was tactless about it according to Howe. He took also the right step to press the divided Greeks for political unity although W. St Clair believes that general Church was the creator of this unity37. If he had the planned fleet he could have liberated Greece38 but his poor project management along with Greek and foreign corruption robbed him of these resources. He tried to introduce novelties like a corps of marines but they were inadequately trained and equipped for the task and became the ridicule of the Greek army39. He meddled too much in planning land operations in Athens. One is to wonder if he thought that he planned to use this possible success to get re-instated in the Royal Navy. Who would dare to say ”no” to the “Saviour of Acropolis”? 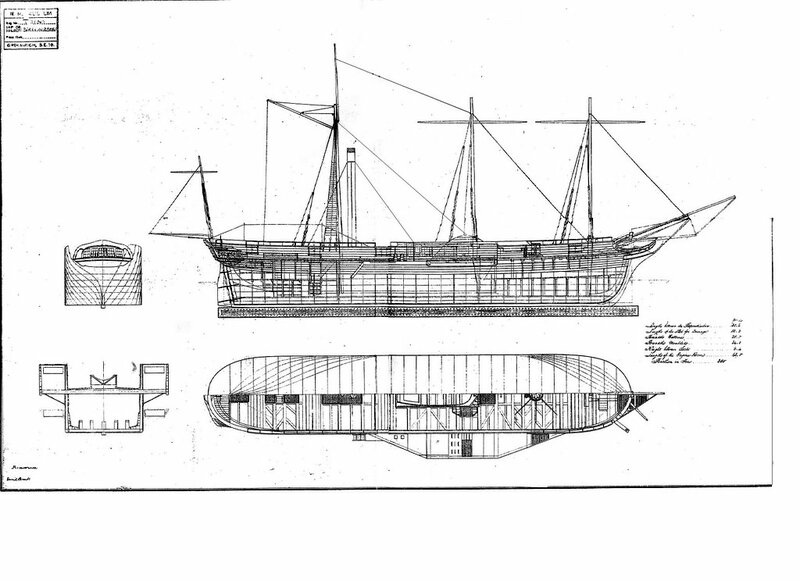 But by squandering funds and resources in this effort he later had difficulty equipping ships for future operations. This money would have allowed him to rectify the idleness and piracy that he was complaining about in his reports. His habit of living in his comfortable yacht and speaking though an interpreter further alienated him form his crews. He failed to understand these men who had not lost a naval fight against the Turks before he stepped in – not a good thing for a commander His image was further tarnished by the unruly contact of his British and American mercenaries who indulged in drunken orgies in Poros and murdered prisoners in a worse manner than his undisciplined Greek sailors40. At the Alexandria raid he sent his men in a poorly planned suicide mission for he neglected to devise an escape plan41. He overplayed his influence in Britain and his claim that his actions brought about the battle of Navarino is an exaggeration. The British captains preferred to talk to his government and not him42. The sharp contrast with his subordinate Hastings who spoke the language, led by example and could command the unruly Greek merchant mariners overrules the argument that it was cultural differences that brought about Lord Cochrane’s failure. R. C. Anderson, Naval wars in the Levant, 1559-1853 Princeton, Princeton University Press, 1952. « Cartoons join the Greco-Italian War (1940) An analysis of British and Greek propaganda cartoons during the Italian invasion of Greece.